It's a race to stop the moon and save the world! 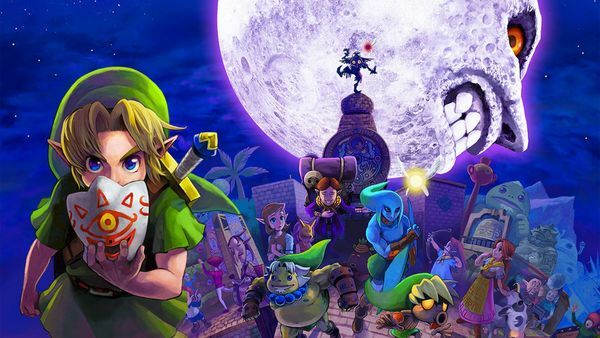 Upon landing in the mystical world of Termina, Link must embark on an urgent quest to solve the mystery of the moon, save the world from destruction, and find his way back to the peaceful land of Hyrule in just three days! Use the Ocarina's power to manipulate time, and plan your schedule as you solve mind-boggling puzzles and dungeons! If you don&apos;t already have this game or want to switch over to the Virtual Console version of Majora&apos;s Mask either way, is a good buy. I have both the Wii VC and original Cartridge versions of this already so I won&apos;t be switching over lol. Yes the Switch pun was intended and I do see the Nintendo Switch having NES, SNES, N64 and GCN games coming to Nintendo Switch&apos;s eShop just watch and see come January 12th. Nice! More good games to buy! I would probably buy the 3DS version on Wii U, but it&apos;s hard to go back to the N64 version after having played that. I love the original graphics for NES and SNES games, but with the N64 and other early 3D games they just look very ugly now days. Still a great game though. It&apos;s always been my favorite of the 3D titles.